As much as the #eatclean movement has really taken off in recent years, and spawned numerous salad, açai and poké bowl shops islandwide, there’s only so much pleasure one can derive from a bunch of greens. With the exception of staunch vegetarians, vegans and those on strict diets, the general population can probably agree that when it comes to comfort food, nothing rivals a succulent cut of meat. And in many of these (carnivorous) epicureans’ hearts, steak is likely to reign supreme above all else. Juicy, tender and packed with flavour — there’s just so much to like about steak. Even the health-conscious can make themselves feel less guilty about digging into a well-marbled cut, by thinking about all the protein, zinc and iron they’re ingesting. And if you’re really concerned about adding inches to your waistline, you can always choose a leaner cut such as a tenderloin, which has a lower fat content. We could go on forever in extolling the virtues of steak. But as much as we are well-versed in the art of eating it, not all of us are equally knowledgeable about the very meat we consume. A classic example would be the difference between wet and dry-aged beef, and whether ageing a steak truly improves its taste and texture. And there’s the age-old question: Is it that bad to order a steak well-done? This made the rounds on the Internet earlier this year, when it was revealed that a certain president prefers his steak completely cooked throughout and topped with ketchup. Who can honestly say no to a juicy rib-eye? With so many burning questions on our minds, we sought the help of Christian Schreiber, executive chef at Morton’s of Chicago Singapore, to beef up our knowledge about our favourite meat. The 41-year-old joined the steakhouse in November 2015, and previously worked in the kitchens of W Singapore – Sentosa Cove and The Sukosol hotel in Bangkok. Armed with an arsenal of culinary skills — especially in cooking steak — he was the perfect expert to consult. Lifestyle Asia (LSA): What’s the difference between wet-aged and dry-aged beef? Christian Schreiber (CS): Wet-aged beef is vacuum packed and aged in a pack with 80 percent oxygen so it doesn’t lose any of its red colour. At Morton’s, we use USDA prime beef from the American Midwest, and it has been aged for nearly 30 days. As for dry-aged beef, it undergoes a similar process, but using special equipment such as meat cabinets. It’s aged from anything between 15 days and six months. There’s a lot of wastage, because a lot of moisture comes out and the beef becomes more compact. We currently have one dry-aged steak on our ongoing seasonal menu — a USDA prime bone-in strip steak aged for up to 45 days. LSA: What are the benefits of dry-ageing a steak — which seems like such a cumbersome process? CS: The longer you age a steak, the softer it gets because the tissue in the meat breaks down. 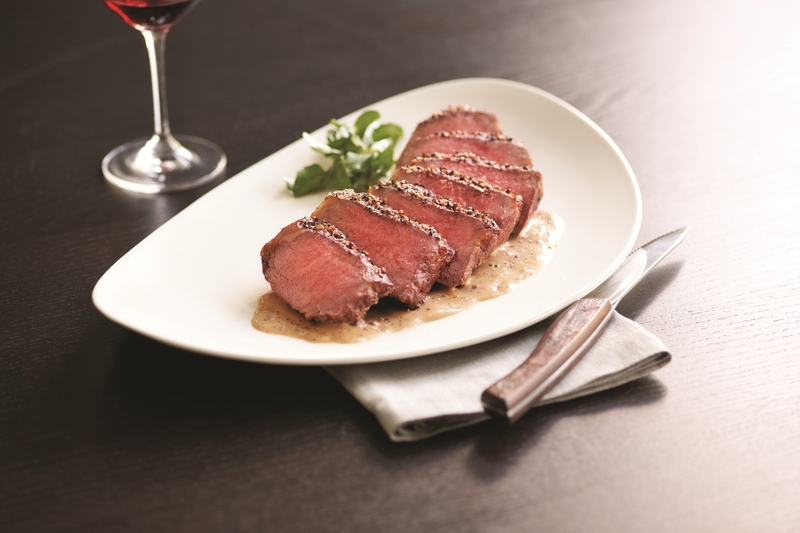 Dry-aged beef has stronger flavour, and is more hearty with a hint of blue cheese. The longer you age the beef, the more distinctive its smell will be. Some people do dry-age beef for an extreme amount of time, but this has an acquired taste and may not be to everyone’s liking. LSA: What happens if you prolong the dry-ageing process beyond six months? CS: There’ll be mould on the beef, which has to be shaved or cut off. The meat also loses a lot of moisture, so there’s a lot of shrinkage. Your final steak will be very small after you cut off its trimmings. Some people may try to increase the level of aging to get a better product, but the cost is extremely high because of this shrinkage. A decadent porterhouse steak from Morton’s Singapore. LSA: Most steakhouses offer a range of cuts on their menus, such as rib-eye and sirloin steak. Can you please walk us through the most common cuts? CS: There are three main parts: The ribs, the loin — where you have the porterhouse and filet — and at the end, sirloin steak. For the porterhouse, the filet’s the most tender part. As for the rib-eye, which is our best-selling item, it contains a high fat content. It’s the most flavourful to eat because it has heavy marbling. Meanwhile, beef tenderloin is tender and has not much marbling. The sirloin or striploin — Americans call it striploin, the Brits call it sirloin — tends to be firmer and has a slight change of fat. 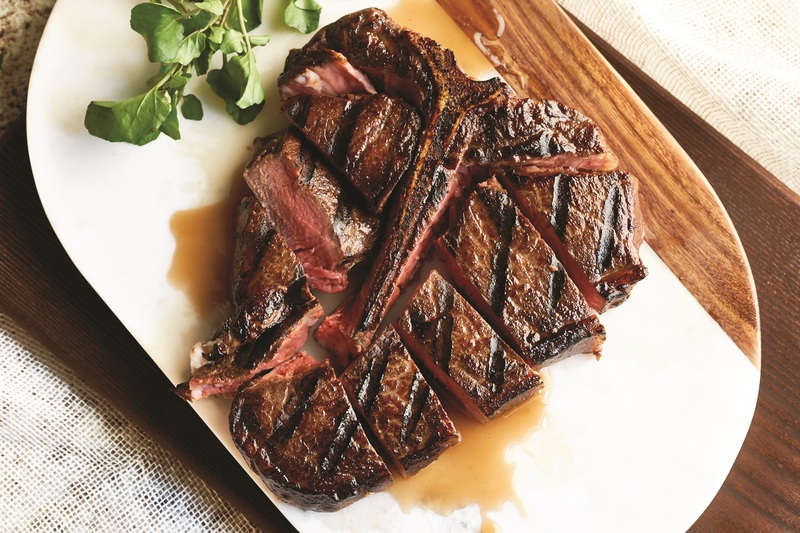 LSA: What should one look for in the perfect steak? CS: The beef should be a bright red colour, have a firm texture and is well-marbled.It must not be over-seasoned with salt and pepper. I usually order a medium-rare rib-eye. LSA: Speaking of doneness, is it really that bad to order a well-done steak? CS: No, guests are entitled to have their food cooked the way they enjoy it. 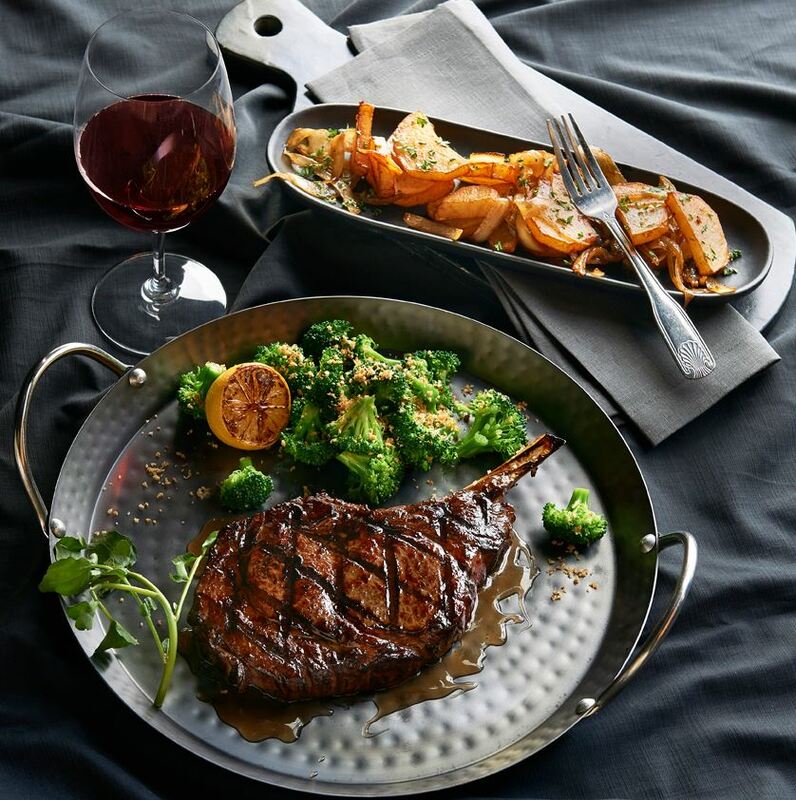 We are just happy that the guest has chosen to come to Morton’s to enjoy the best steak. 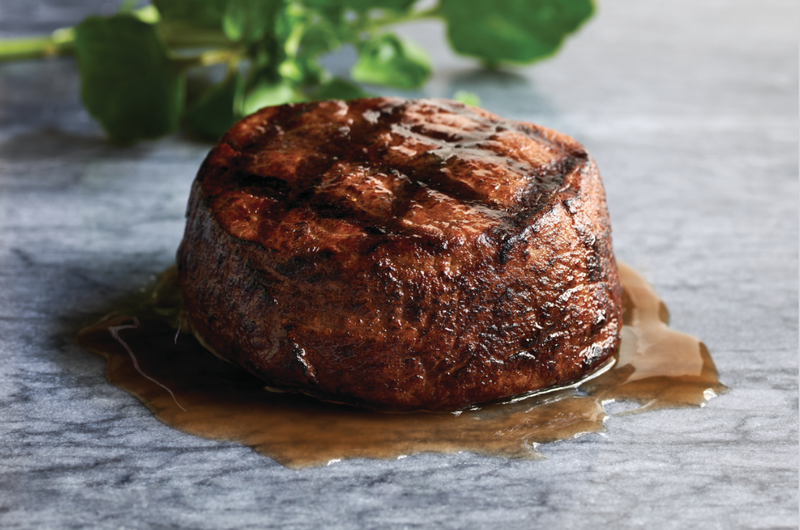 We’re already drooling over this perfectly seared filet mignon. LSA: On the opposite end of the spectrum, some people adore blue rare steaks. But are these safe to eat? 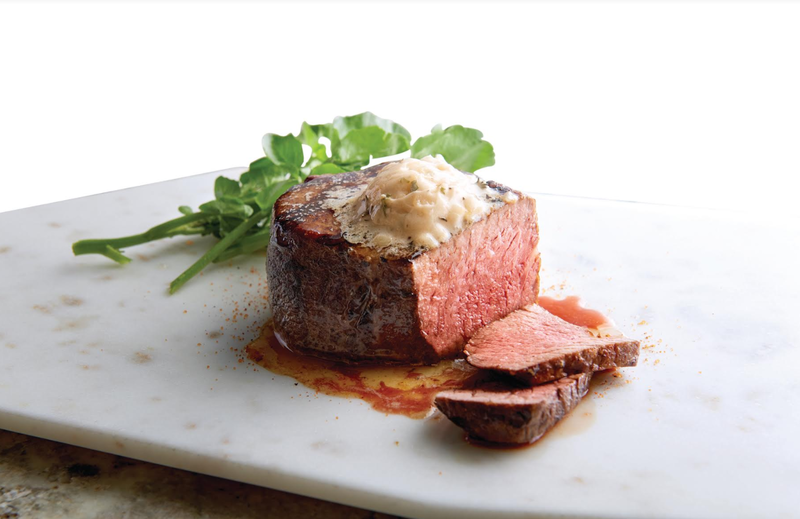 CS: Blue rare steak is safe to eat, especially with the quality of product Morton’s has. But you have to sear the meat all around. It has to be cooked at over 70 degrees on all areas to kill the bacteria outside. This way, it’s raw inside, but its surface is completely seared. We often get requests for it. LSA: What’s the most unusual customer request you’ve ever received? CS: I love getting challenged by our guests to give them their favourite personalised meal. I recently had a request for one six ounce (170.1 grams) filet, butterflied, Pittsburgh style, medium. It was nearly impossible to cook. You have a small steak, and butterfly it by partially slicing it down the middle and spreading it open — which makes it even smaller. A Pittsburgh steak is blackened on the outside with strong heat. So, using an iron pan, you sear the steak and have to turn it around for the right amount of time, to get it to the requested doneness. The guest left very happy. LSA: Red wine is usually the default pairing option for steak. But are there other beverages that work just as well? CS: I think every beverage goes with steak. Personally, I am a beer fan. There are some great craft beers that pair extremely well, due to their hearty and slightly bitter flavours. Skip the red wine and try pairing this prime strip steak with beer the next time you’re at Morton’s. LSA: For beginner cooks, what’s the easiest type of steak to prepare at home? CS: All steaks are fairly easy to cook at home. It really comes down to what you are looking for in your steak — high marbling or low marbling. I often cook tenderloin with my children because it doesn’t take that long to cook, especially if it’s cut into smaller pieces like six ounces or eight ounces (226.8 grams). LSA: What tips do you have for home cooks? CS: Sear the steak in an iron pan, but don’t use too much oil. After that, cook it in the oven at low temperature of around 100 degrees. Don’t put it in at a high temperature like 180 degrees as the steak will just end up grey outside and wet inside. When it’s ready, add some butter and herbs such as thyme or rosemary, and let the steak rest before you start cutting it. If you start cutting it right away, its blood and juice will come out.